It's early in the morning, the sweepers are out cleaning Dixon Street, the buskers are sleeping and the mall is quiet. 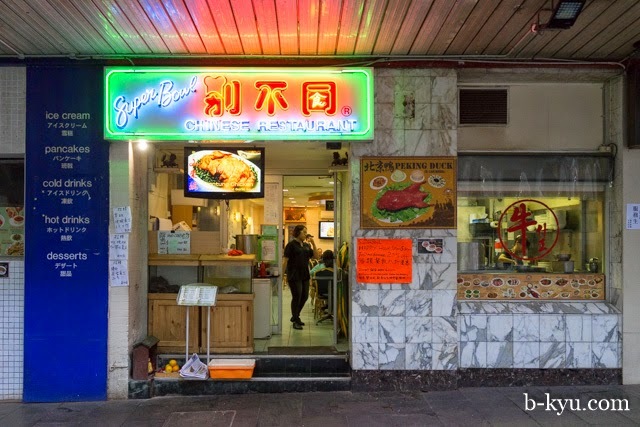 Even the restaurant spruikers are in bed yelling "Hello Chinese food!" in their dreams. 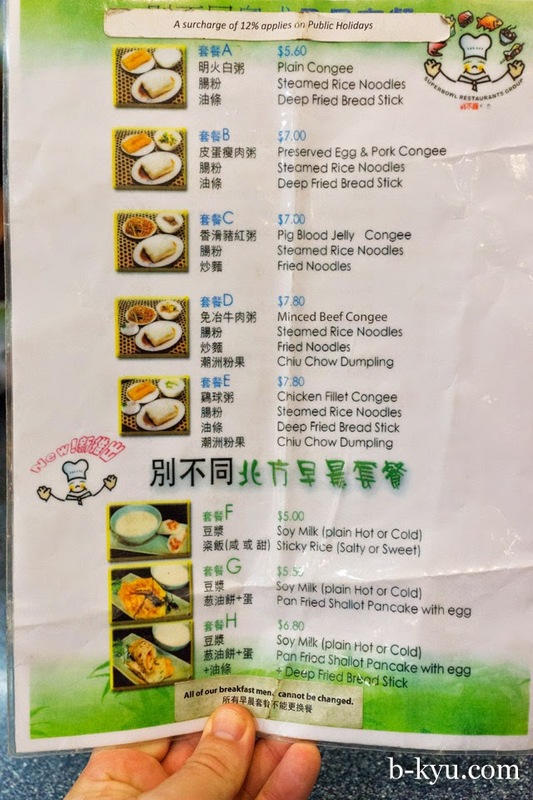 But Superbowl is open at 8am for a ridgey didge Hong Kong style breakfast. All is good. We sit inside early on a Sunday morning (look Mum, no hangover!) 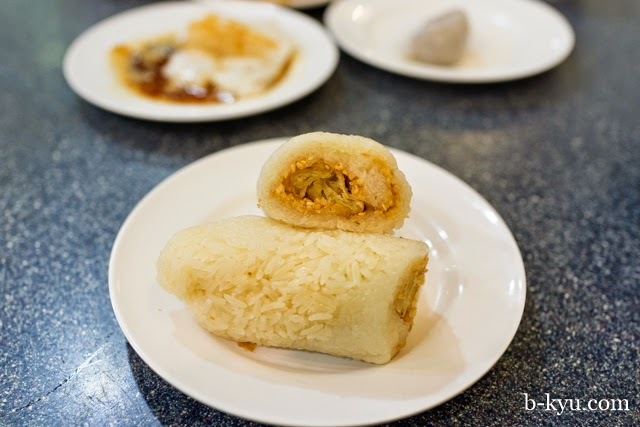 and it's just like some hole-in-the wall joint in Hong Kong or maybe Guangzhou. 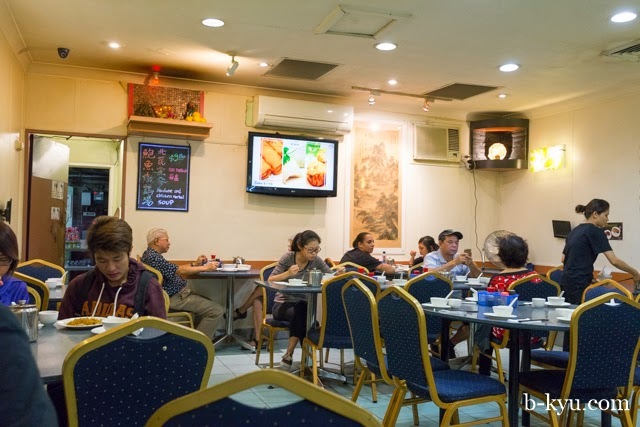 Some folks may balk at the low rent decor but to us this is first class dining, no Neil Perry million dollar fancy restaurant fitout can evoke the travel spirits like this. We've always loved Superbowl's congee, whether it be for breakfast or a late night post pub feed, it's always good. 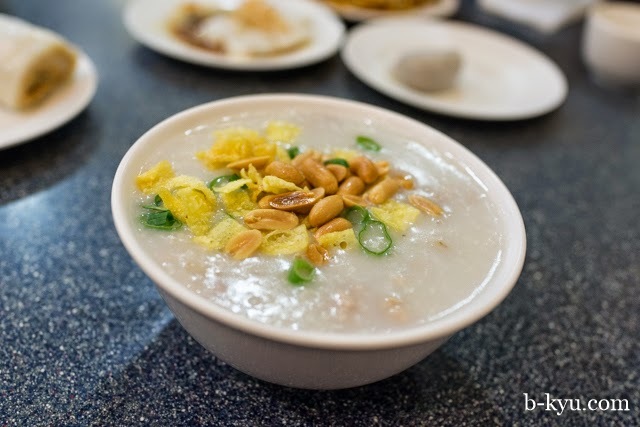 Shawn digs the sanpan congee $6, rice porridge with little fishy bits and peanuts for crunch. 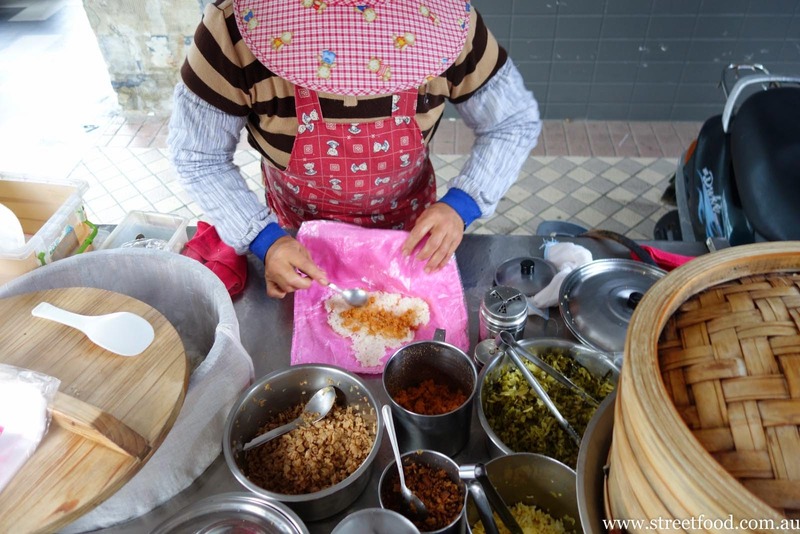 Sticky rice with preserved vegetables, dried meat floss and fried bread stick - $3.50. 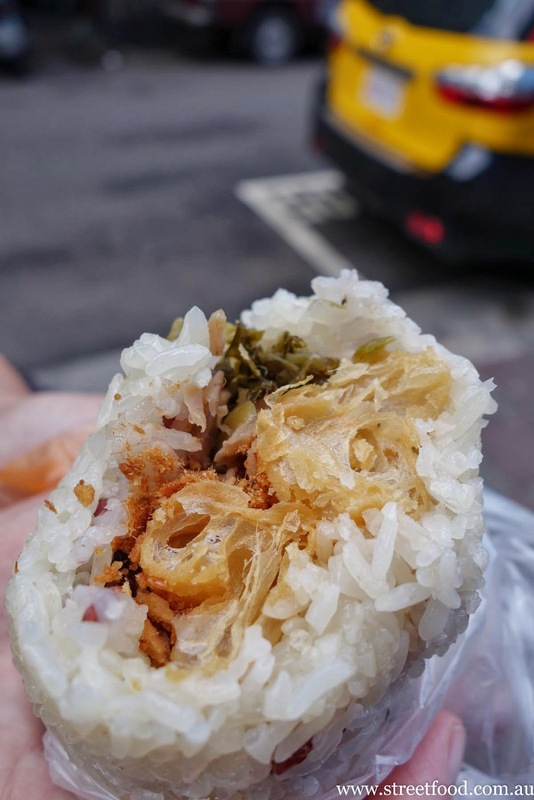 These were fun but we can't help think of the fan tuan we had in the streets of Taiwan, these were mind-blowingly fresh textural masterpieces. Sometimes travel spoils you. 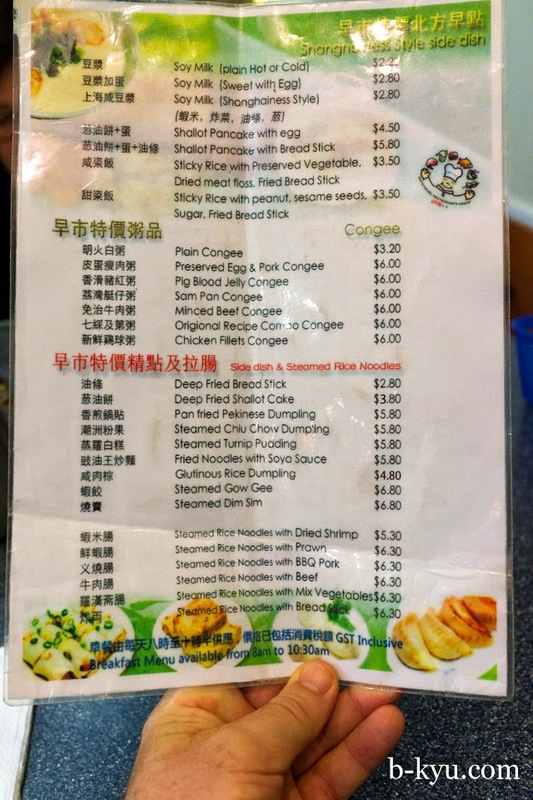 Alison's nose for a bargain brings her to breakfast set D - only $7.80 for minced beef congee, fried noodles, steamed rice noodles and a dumpling. It's just like an Asian hotel buffet breakfast. It ain't high art or made to order, its filling and cheap. 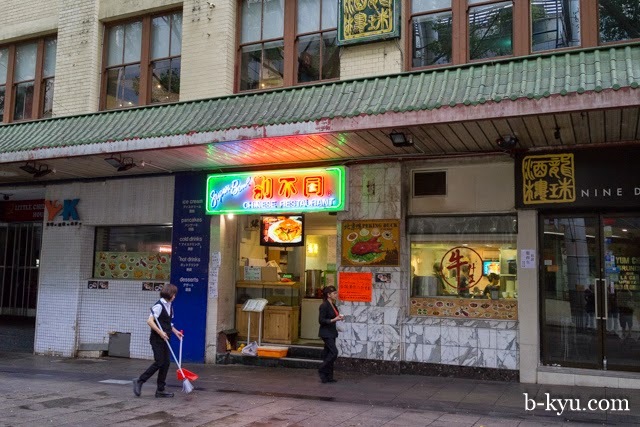 Superbowl is at 41 Dixon Street, in the main mall bit, Chinatown. Open from 8am till late. 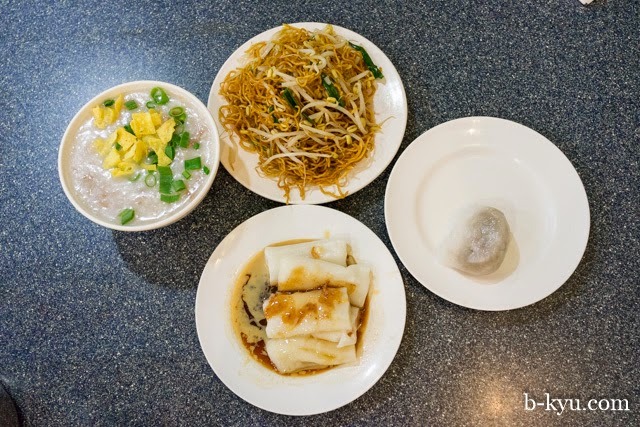 See our Chinatown breakfast post for more brekkie ideas. Wow - let's petition them to have those breakfast sets available all day! Set D is my go to order. I love making a mini bowl of the noodles and drown it in some congee for some carb on carb action. Excellent value for money. Also don't mind the steamed raddish cake there on occasion. Yum!